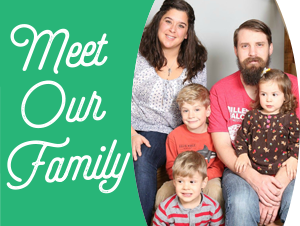 It’s hard to find a planner that fits the Montessori philosophy and structure. I remember teachers I worked with adapting traditional lesson plan books to fit their classroom and nothing ever worked great. They got by, but it didn’t really fit their needs. Even as a homeschooler with as many options and varieties of lesson planners, nothing seemed to work just right. 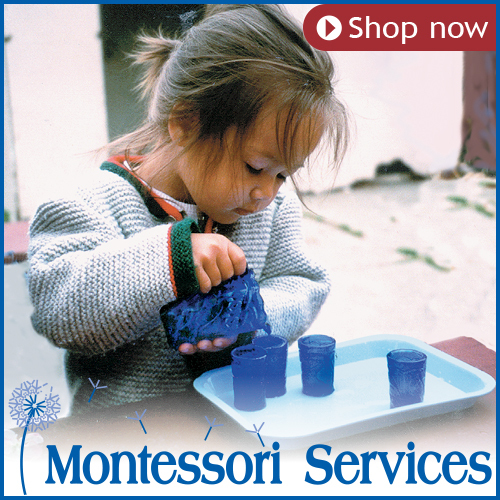 There didn’t seem to be a product that worked well with the Montessori environment. So I began to build my own. Each year I’d tweak this or that, add something new to bring focus or organization to my planning and our homeschool environment. As any prepared environment is always changing to fit the child’s need, so is this homeschool planner. It is still in the process of becoming. But I’m excited to finally present it to you! 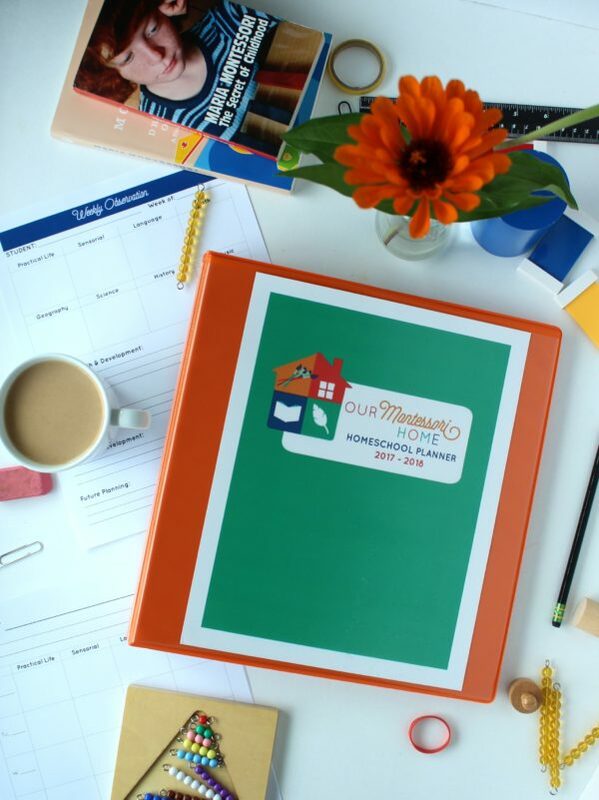 If you’re a Montessori homeschooler, or even a Montessori teacher, and you’ve been looking for a planner to help you prepare lessons, unit studies, shelf work, and give you a way to record observations then this planner for you! 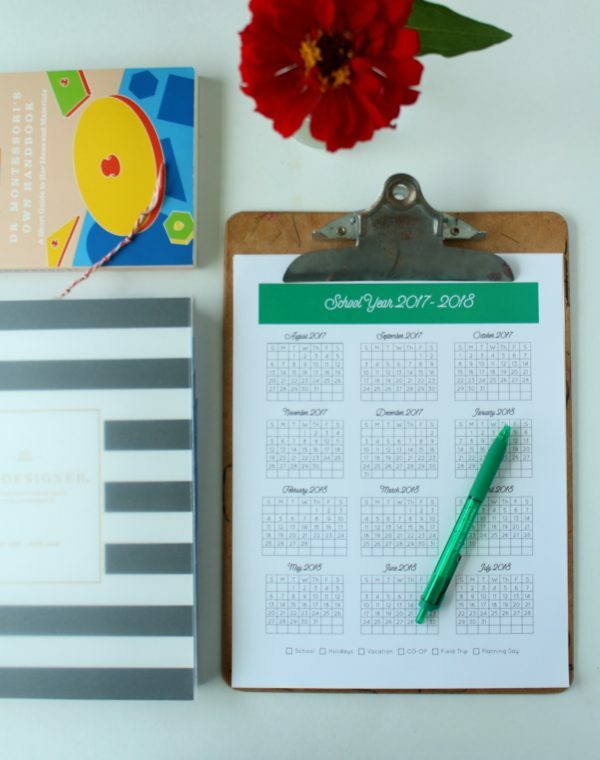 It’s filled with useful printables for your school year, such as School Attendance Record and a 12-month calendar for 2017-2018. There’s a few pages of goal planning worksheets to help you think through your goals for the year, as well as student goals and goals for your prepared environment. You’ll find a reading log, book list, undated weekly lesson planning sheets by subject and blank, and a field trip planner. 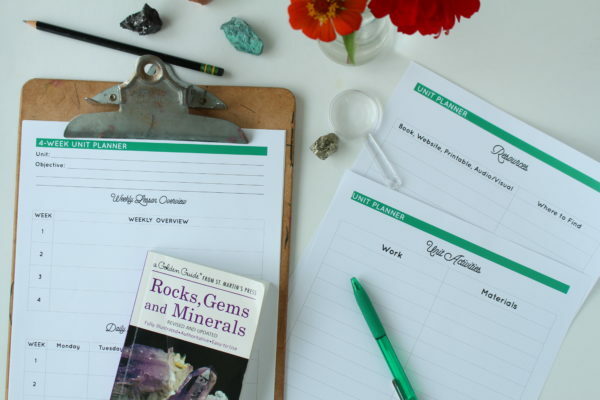 There’s a 4-week and 6-week unit planner with a place to record weekly and daily lessons, art activities, book/resource list, and a page to record activities for your shelf. 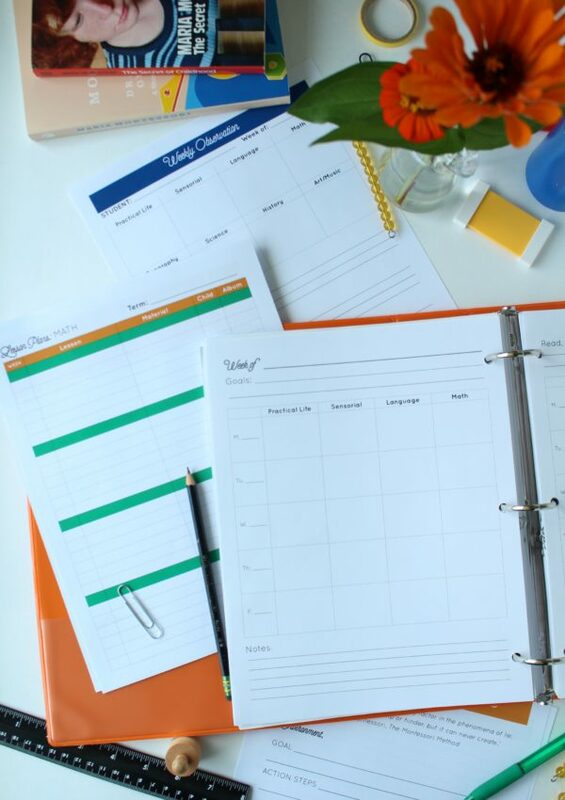 Now this is what has helped me that no other planner I’ve come across has had–pages to record what lessons and activities are rotating on the shelf. There is a page for the activities by subject and then a second page to list the materials for each activity. This was been so helpful for me when planning what’s going on our shelves. I can see each item I need, which helps me avoid thinking I can use the same material in two separate activities. 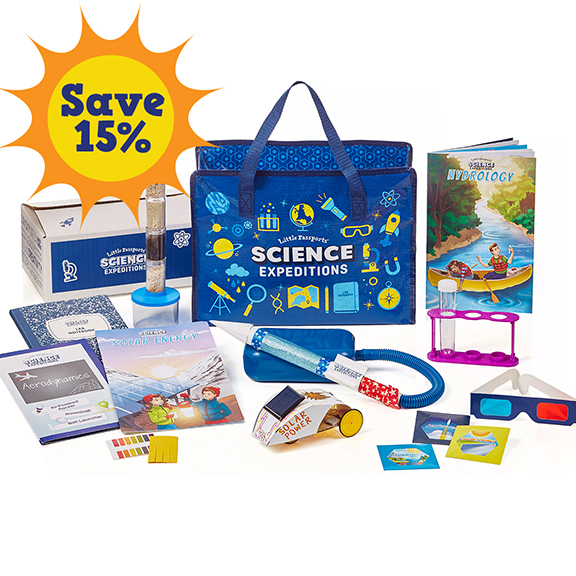 What’s also great is you can save these for next year, especially for seasonal activities, and then you already have a list of all the lessons and items you need! 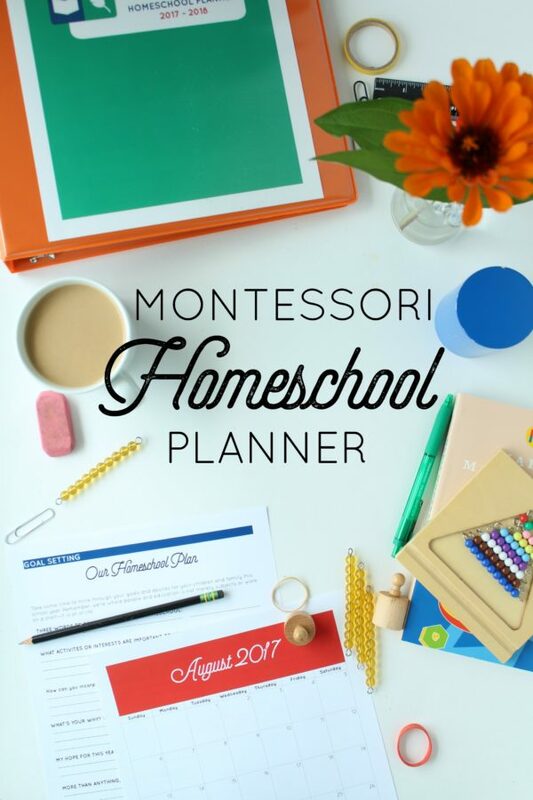 The Montessori Homeschool Planner has over 60 pages of helpful tools for planning and recording your school year! over at my Teachers Pay Teachers store! And if you’re looking for guidance on preparing for school, check out my Back to School Planning Guide! © Copyright 2015 Our Montessori Home. All rights reserved.